Just as with the Harry Potter series, The Hunger Games films have grown darker with each installment. Some may not be fond of the change of tone but I like my YA films dark. I never read the books so I come at this from a pure movie going experience. While I have not been enthralled with the films I have enjoyed them. I also enjoy Jennifer Lawrence, both on screen and off. 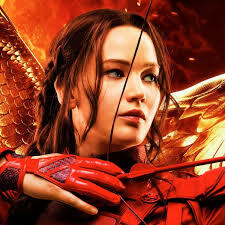 Her Katniss Everdeen is a hero, stalwart, loyal and idealistic. Off-screen, Lawrence is a complete nerd, clumsy, loud and completely self-deprecating. It really tells you what a good actress she is that she completely transforms into Katniss in these films. What’s true about her perosnality is what comes across in whatever role she plays – she’s genuine. She has a joy and openness which makes her such a good performer. In this film finale, the rebels prepare for the last battle with President Snow and The Capitol. President Coin does not want Katniss involved in the battle and wants to keep her safe behind enemy lines to do propaganda for the rebels but Katniss has other plans. She wants to kill Snow herself. She stows away on one of the aircraft headed to the front lines and then the fun begins. The story becomes so simple and straight forward that it seems very unlike the preceding films. Perhaps because, as with the final Potter films, the final book on which the series is based, was turned into two films, this final entry feels tagged on. If not for the studios greed there would have just been 1 Mockingjay film that ran three hours and probably would have been a better overall experience. I expected the final film to be an all out war film, big battle sequences, explosions and such. But what we get is a ‘secret mission’ movie. A small group of heroes Katniss, Gale, Finnick, Boggs, Cressida and a few ‘red shirts’ plus a still brainwashed Peeta, make their way through a booby trapped Capitol and face one obstacle after another while slowly taking casualties. It’s very exciting and suspenseful and builds nicely to a big showdown at the gates of Snow’s mansion which doesn’t go exactly as planned. I felt satisfied with how it ends. It took me by surprise. I also like that the story became smaller rather than bigger like most blockbuster films. This was Katniss’ journey all the way and Lawrence really owns the screen. Some well known characters only get cameos (Stanley Tucci, Jenna Malone, Jeffrey Wright, Elizabeth Banks) But Woody Harrelson, Julianne Moore and Donald Sutherland get some good screen time. Sutherland is always good playing a rascal whether he is the bad guy or the good guy though he mostly plays bad guys these days due to his age and white beard. The late, great Phillip Seymour Hoffman died during filming and you can tell which scenes he would have been in if he were still here with us. There is also one scene where they obviously use an image of him and superimpose him into the scene. So sad. The effects are good, the story compelling and Jennifer Lawrence delivers the emotions for the big pay off. It is commonly agreed that Steve Jobs was a genius. He was also a very complicated and difficult person. Most geniuses are. Where do you begin to try and understand someone who literally changed everyone’s life with his technological creations? Aaron Sorkin’s brilliant script tries within the structure of a three act play. Each act depicts a different product launch and the frantic 30 minutes or so backstage before the curtain goes up. The first act is the launch of the Mac in 1984. The second act is the launch of the NeXT computer after Jobs left Apple to form a new company in 1988. The third act takes place in 1998 with the triumphant return of Jobs as Apple’s CEO and the unveiling of the IMac. 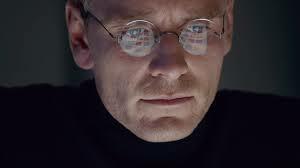 We see Jobs interact with his right hand woman and confident, Joanna Hoffman (Kate Winslet), the first CEO of Apple, his friend and later to be nemesis, John Scully (Jeff Daniels), his former girlfriend, Chrisanne and her daughter, Lisa, who Jobs refuses to acknowledge as his daughter as well, Andy Hertzfeld (Michael Stuhlbarg), a lead member of the original Mac team and of course, Steve Wozniak (Seth Rogen), his friend and co-founder of Apple. Anyone who’s watched The West Wing or seen The Social Network will recognize Sorkin’s style, characters in constant motion while delivering smart, quick and witty dialogue. These actors deliver wonderful performances, you can tell they are relishing delivering these lines and want to make the most of the opportunity. 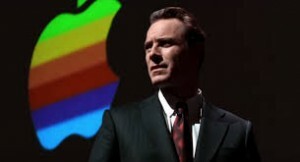 Michael Fassbender may not look like Steve Jobs but he fully transforms into him and he commands the screen. If you only know him from the X Men movies you need to check out Shame, 12 Years A Slave and Inglorious Basterds. He’s been doing good work for awhile now and is poised to really take off with this film. Kate Winslet is strong as Hoffman, pulling a ‘Streep’ by affecting a subtle polish accent. Jeff Daniels already having mastered Sorkin’s linguistic pretzel dialogue from working on The Newsroom also excels. Seth Rogen! He’s great! He’s playing Wozniak but he’s still Seth Rogen and like Fassbender, he doesn’t look like ‘The Woz’ but he gets his ‘essence’ and delivers a vulnerable performance. I have to say, my least favorite part about the trailer was Jobs screaming “she’s not my daughter!”. It seemed forced. But watching the film you realize this storyline is the most important, of course, and ultimately, very moving. Director Danny Boyle (Trainspotting, Slumdog Millionaire) does a fine job, scaling back his usual visual flair and following Sorkin’s lead by delivering a pulse pounding drama driven by fine actors delivering the most delicious lines of dialogue. I was blown away by the script and the story structure. Nothing is wasted. Every line has significance and meaning, sometimes more than one. It’s a beautiful tapestry, storytelling at its finest. Before The Hunger Games, Bond and Star Wars demand your attention do yourself as favor and check out this gem. It’s an action movie for the mind. One reviewer said that this movie was what the second season of True Detective should have been. If so, it would have been a helluva lot darker than season one. 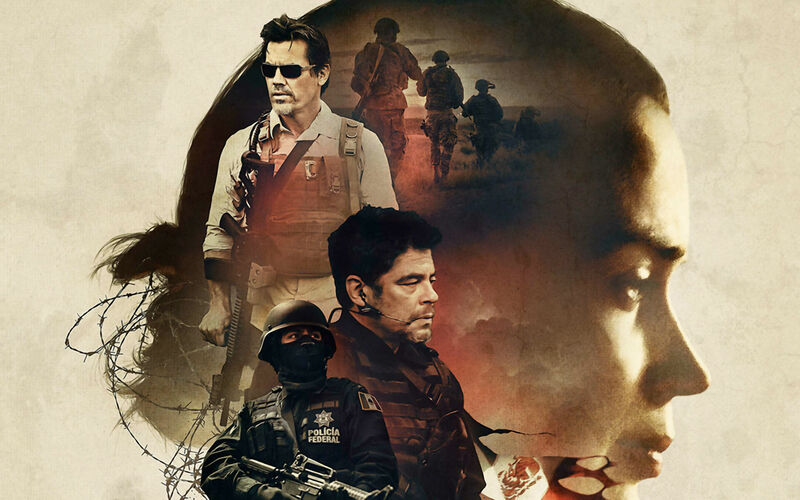 Sicario, directed by Denis Villenueve (Enemy, Prisoners), is a dark, gritty thriller about the Mexican drug cartels and what lengths the U.S law enforcement and the CIA are willing to go to make a bust. The film is like entering a nightmare and morning never comes. The film opens on a kidnapping raid in Arizona led by FBI agent Kate Macer (Emily Blunt). They make a grizzly discovery of dozens of bodies buried in the walls and then one of the team comes across a booby trap and the explosion kills two officers. You can see the toll this takes on Kate. She’s seen too many scenes like this and it never seems that any progress is made. Enter Matt Graver (smug Josh Brolin) a CIA operative looking to put together a task force to go after the group responsible for what happened run by this big drug cartel boss. Kate idealistically volunteers and she and her partner begin their strange partnership with Brolin and his ‘partner’, Alejandro Gillick (the gloomy Benecio del Toro). What follows is a dark journey that starts from a small border town and leads into Mexico. The whole time Kate and her partner seem to be merely observers to a string of events they have no control over. The audience is in the same position. You’re just along for the ride and the movie makes no apologies for the behavior onscreen. If you’ve seen Prisoners, which starred Jake Gyllenhaal and Hugh Jackman about the search for two missing little girls and the toll it takes on the parents and the detective heading the case, then you will be prepared for the bleakness of Sicario. Personally, I like films that deal with dark subject matter and go to dark places especially if it’s done well. Sicario is done very well. It’s beautifully shot, sad twilight skies and sad hopeless faces fill the screen. It’s also well acted by a strong ensemble that includes Victor Garber (Alias) and Jon Bernthal (The Walking Dead). Del Toro’s droopy eyes and intensity work well here. Josh Brolin with his devilish grin and cockiness talks while Del Toro glares and they make a scary team. Emily Blunt has a difficult part. She’s the lead and she’s also the audience’s POV into the movie. She does a lot without saying much. She conveys everything with her facial expressions and physicality. She really has become the kind of actress I never expected after seeing The Devil Wears Prada. She has really diversified and shown off her talent in recent years. She became an action star in the wonderful 2014 film Edge Of Tomorrow with Tom Cruise. She proved she can do musicals with Into The Woods. She should be on the A List now. 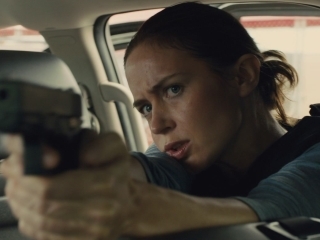 She proves in Sicario she is a formidable actress to be reckoned with. 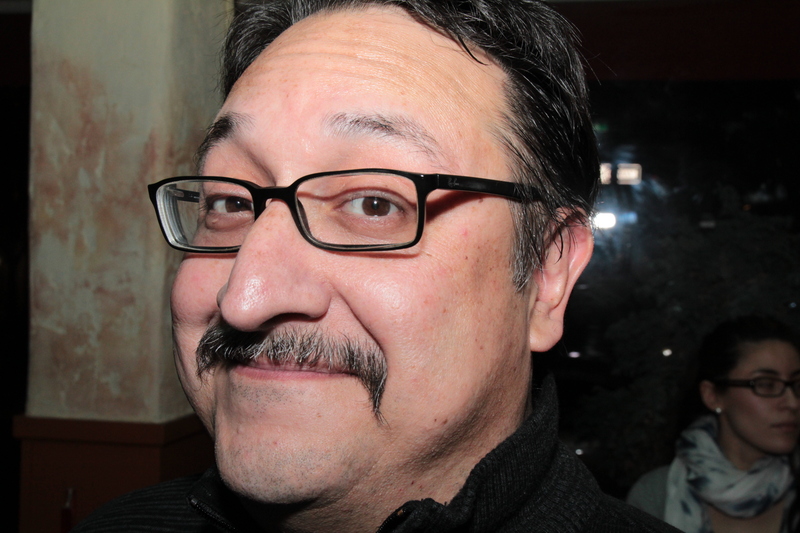 Director Villanueve’s next movie will be the sequel to Blade Runner. My guess is there will be plenty of ‘tears in the rain’ but no white doves flying in slow motion to the heavens.